The chart topping Dance Vocalist/ MC/DJ, Songwriter and remixer, hasbeenoneof the most sought after voices in the scene. She has recorded multiple hit club records with solid names like Laidback Luke, Cazzette, Roger Sanchez, John Dahlbäck, SMASH, Henrik B, Sean Finn, Jason Chance, Thomas Gold, D.O.N.S., DJ Antoine, Calvo, Andrey Exx and many others. Her vocals have landed on the remix boards of Avicii not once but twice, and she collaborated with a who’s who in electronic music. In2015, she was the first person to top the Billboard Club songs charts twice at#1. Club burners Big Fun, with D.O.N.S and Blind Heart with Dub kings Cazzette, as a featured vocalist, have paved the way for an extraordinary so-lo career. Blind Heart, which she co-wrote, has collected more than 57 million Spotify streams. Her own single Im Coming Back, exclusively signed to Carrillo in the USA, hit the top #20 spot on the Billboard Club Songs in April 2016. In 2017 she hit #1 again with Ralphi Rosario and Abel Aguilera, with their original song, Anthem of House, which included a remix from Terri as well in the package.Released music on the top dance labels including, Ultra, Ministry of Sound, Kontor, Defected, Joia/Nero, Z Records, Nervous, Armada, and Sony has paved the way for more good music opportunities. Topping charts in both the dance and pop category have constant and numerous.She managed 450,000 spins in Russia with the now evergreen hit, Heaven, and her first sin-gle every released , OhLaLaLa hit #1in Spain’s Top 100 radio charts as well.She has shared stages with David Guetta, DJ Antoine, Roger Sanchez, Tiësto, Thomas Gold, and the list is too long to mention and from Sydney to Siberia, her musi-cal brand has graced internatioal dancefloors. 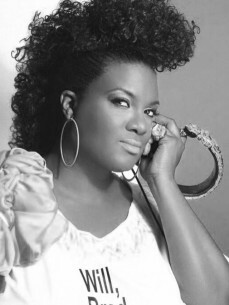 Terri continuous to host her own global radio show, The Housecrunch weeklydedicated to house and club music.